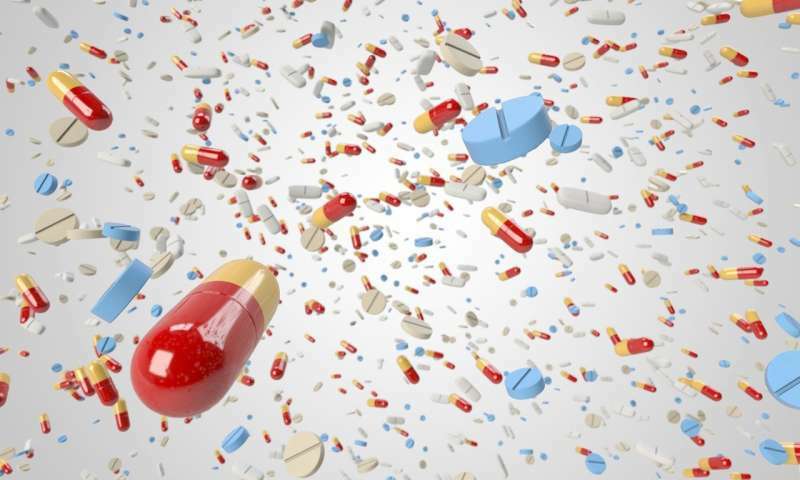 Understanding how regional variations in economy and lifestyle affects the use of the drugs will help to improve the fight against antibiotic resistance, argues a new WHO policy brief written by University of Exeter academics. Instead of being "one-size-fits-all" policies must be tailored to take account of the different ways medicines are prescribed and used across the world, and the social, commercial and cultural drivers of medicine prescription and use, the document says. Prescription rates, the type of medicines prescribed, and the consumption of antibiotics vary greatly between countries and this also affects the likelihood of developing and spreading resistance. Existing statistics show there is a fourfold difference in total antibiotic use and consumption across the WHO European Region. Antibiotic use is lowest in the northern Scandinavian countries and highest in the southern Mediterranean countries. Antibiotic resistance (ABR) poses a formidable threat to global health and sustainable development. It is estimated that, without an effective response, resistance to antimicrobial medicines might cause common infections to once again become fatal and, by 2050, lead to approximately 10 million deaths annually worldwide. Responses often focus on how to raise awareness of ABR and impart scientific facts. The report, published today, argues this alone does not sufficiently account for the ways ABR is embedded within socio-cultural beliefs, policies and practices. The report, written by Katie Ledingham with Steve Hinchliffe, Mark Jackson and Felicity Thomas from the University of Exeter, and Göran Tomson from the Swedish Institute for Global Health Transformation, says ABR is a social and cultural, as well as a biological issue. It examines the cultural factors that impact on antibiotic use, the transmission of antibiotic resistance and the types of antibiotic research and innovation that are currently taking place. Dr. Ledingham said: "Although top–down or expert-led approaches such as scientific innovation, surveillance, national and international plans of action and antibiotic stewardship, are essential, it is also important to take account of the role of cultural context. "Any attempt to reduce inappropriate uses of antibiotics and reduce the risks of resistance requires understanding of the histories and cultures of medicine uses, structural issues surrounding health and health care, and an appreciation of cultures of risk. "Antibiotic uses and related drivers of resistance do not occur in isolation. They relate to a wide range of social and cultural matters, including food security, poverty, health care provision and access, health care practices, norms concerning illness and recovery and even social representations and meanings of microorganisms." The report says work by historians and social sciences looking at the history of healthcare and modern cultural practices can effectively complement and enhance scientific, technological and regulatory approaches to ABR. This might involve developing training mechanisms to empower GPs to engage in challenging conversations with their patients; understanding how changes in food culture can potentially increase resistance such as the growing popularity of probiotics; and using participatory mapping and other ethnographic methods to visualize the full range of processes and practices which shape transmission. This is the second policy brief commissioned by the WHO Cultural Context of Health (CCH) project with the aim of giving practical guidance to policy-makers to using CCH approaches for key public health issues. Dr. Claudia Stein, Director of the Division of Information, Evidence, Research and Innovation at the WHO Regional Office for Europe commented: "This policy brief shows the wide range of socio-cultural beliefs and practices driving antibiotic use, consumption and ABR transmission in different settings, and the importance of understanding these cultural contexts in designing policies to mitigate ABR. In doing so, the brief underscores the value of WHO Europe's ongoing support for the Cultural Context of Health project which provides important qualitative evidence for policy." Professor Mark Jackson, Director of the Wellcome Centre for Cultures and Environments of Health and Co-Director of the WHO Collaborating Centre on Culture and Health, University of Exeter, UK added: "This policy brief clearly illustrates the value of a CCH approach for policymakers, since it allows us to understand and contextualize some of the key issues related to ABR, and also to address other complex global health challenges."